Find the Answers to Your Invisalign Questions Here! Aligners are crafted from a BPA-free thermoplastic material. This material is developed expressly for the Invisalign treatment. The invisible aligners look very similar to teeth whitening trays. Each one is custom designed to move your teeth slowly into a position predetermined by your orthodontist. Your orthodontist will give you multiple aligners to wear during your treatment. Each one is designed to move your teeth a little bit at a time. Every two weeks, you change aligners. The process continues until all the teeth have reached their destination. Your doctor will map out the movement of your teeth. They will not all move at once. According to the plan your doctor designs, certain teeth will move at certain times. The patented thermoplastic design of Invisalign moves the teeth through controlled force. This force is applied at certain times on specific teeth. The most obvious benefit of choosing the Invisalign treatment plan is the fact that the aligners are clear. For the most part, no one will know you are wearing them. In addition, they are removable. They need to be worn at least 20 to 22 hours a day for the maximum benefit; however you can take them out to eat. You will not miss any of your favorite foods. Also, you can maintain good oral hygiene brushing and flossing your teeth, because the aligners are removable. Another benefit of using Invisalign aligners is that there are no metal wires or brackets to irritate the soft tissue in your mouth. You have the benefit of spending less time in the dental office, since there are no wires that need adjusting. The Invisalign system allows you to see the results of treatment when you first begin the treatment plan. You will have a chance to see what your new smile is actually going to look like when it is all finished. 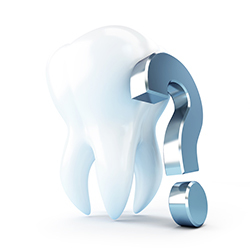 Should you have any questions regarding Invisalign or any of our orthodontic treatments, please contact us today. We are more than happy to help!